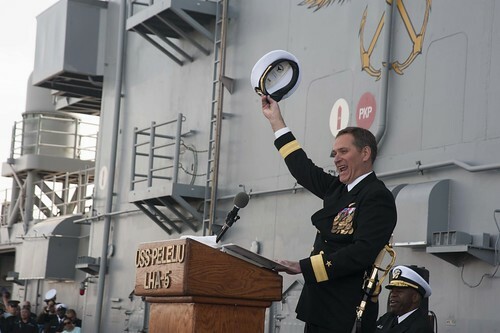 SAN DIEGO – Hundreds of current and former crew members, 10 previous commanding officers, and their family members crowded onto the flight deck of the amphibious assault ship USS Peleliu (LHA 5) to bid farewell to the “Iron Nickel” during the ship’s decommissioning ceremony at Naval Base San Diego. 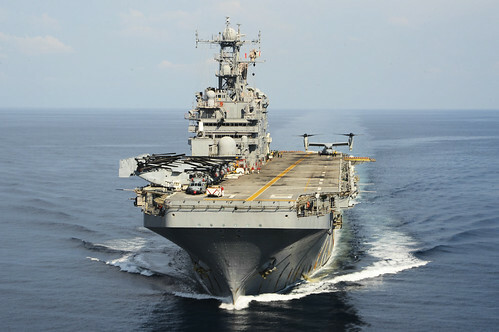 For 34 years the mighty amphibious assault ship USS Peleliu (LHA 5) has served as both a weapon of war and a symbol of peace. 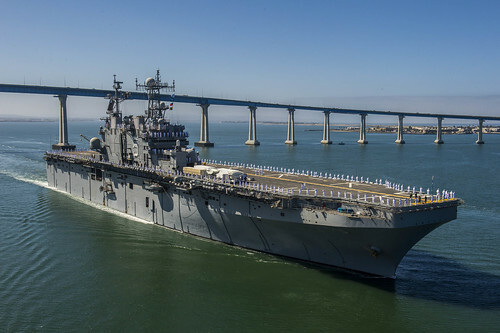 SAN DIEGO – The amphibious assault ship USS Peleliu (LHA 5) is scheduled to be decommissioned after more than 34 years of service in a ceremony on Naval Base San Diego. 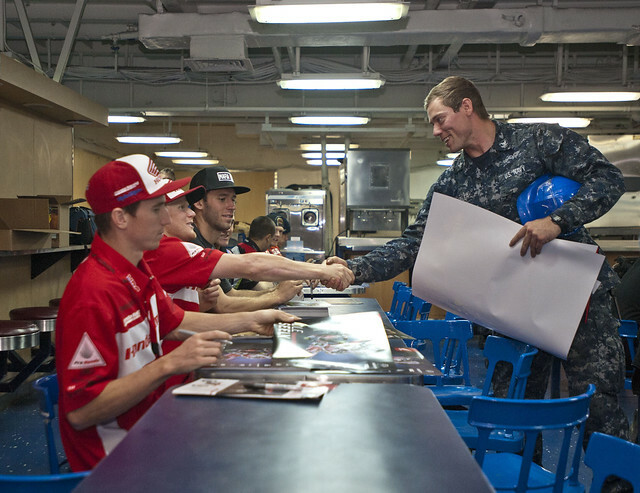 SAN DIEGO - Boatswain's Mate 3rd Class Curtis Beeler, from Knoxville, Tenn., meets with Trey Canard, a Supercross motorcycle team member from Honda Racing during an autograph signing for Sailors aboard the amphibious assault ship USS Peleliu (LHA 5). 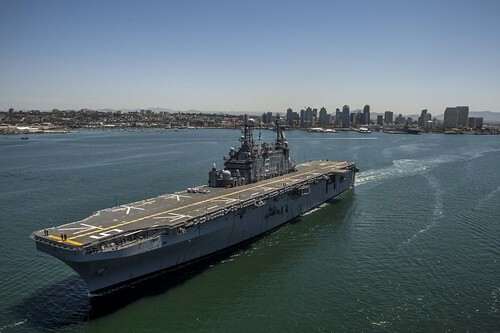 SAN DIEGO– The amphibious assault ship USS Peleliu (LHA 5) will end nearly 35 years of service during a decommissioning ceremony scheduled for 10 a.m. at Pier #7 on board Naval Base San Diego. 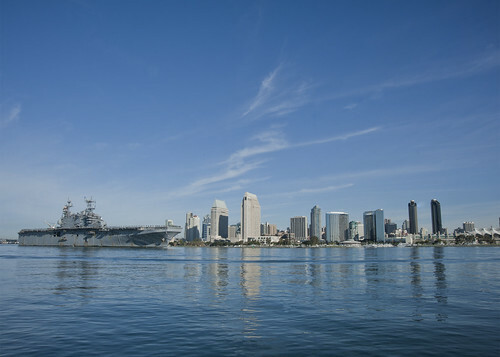 SAN DIEGO (NNS) -- USS Peleliu (LHA 5) returned to Naval Base San Diego Dec. 24 from a six-month deployment to the Western Pacific.